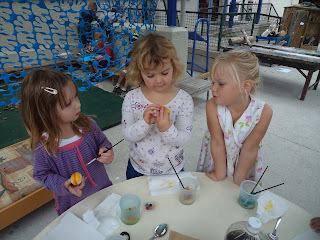 We had fun this week painting our bantam eggs with food colouring and making chocolate marshmallow Easter eggs. The children were particularly intrigued by the hard boiled eggs when the shell was cracked “That’s white chocolate" one child exclaimed in excitement. Have you shown your child what happens to the inside of an egg when it is boiled? 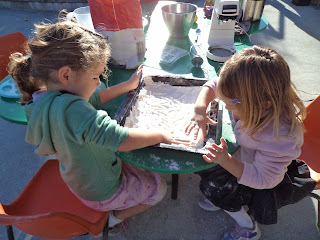 - That’s a fun and easy science experiment to do at home with two eggs to compare the differences. Here is the link to a recipe for the marshmallow eggs. We suggest just follow the instructions on the photo side and add a little more gelatine. It should feel like it is setting before you put it into the "flour shapes"
Have a lovely Easter break with your families and we will see you back at kindergarten on Wednesday. Ngā mihi o te Aranga / Happy Easter. Last Thursday 21st March we had our annual Trike-a-thon. It was a very exciting day at Kindergarten leadning up to the big event. It was a great time to share with our families outside of session time and be out in the community sharing the fun that we like to have here. 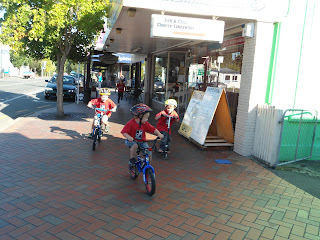 The children rode around the block, past the shops. Some children rode around several times and still wanted to continue going arond when it was time to stop! "Where did all of the children come from!!" 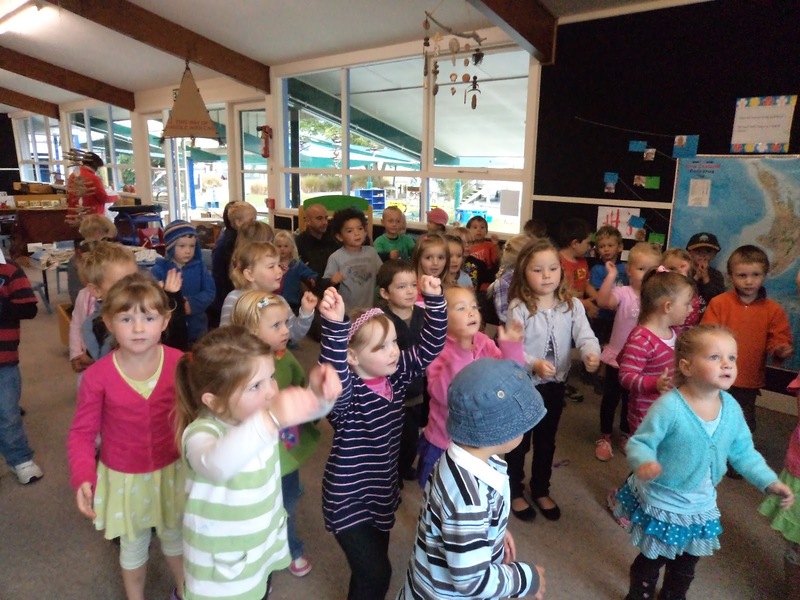 Thank you to all of our amazing children and families who have worked hard to gather your sponsorship money. 9am has become a very special and exciting time at Geraldine Kindergarten, Kotahitanga - a time for us to come together. Initially everyone joins in on Jump Jam to get the morning started with a bang! 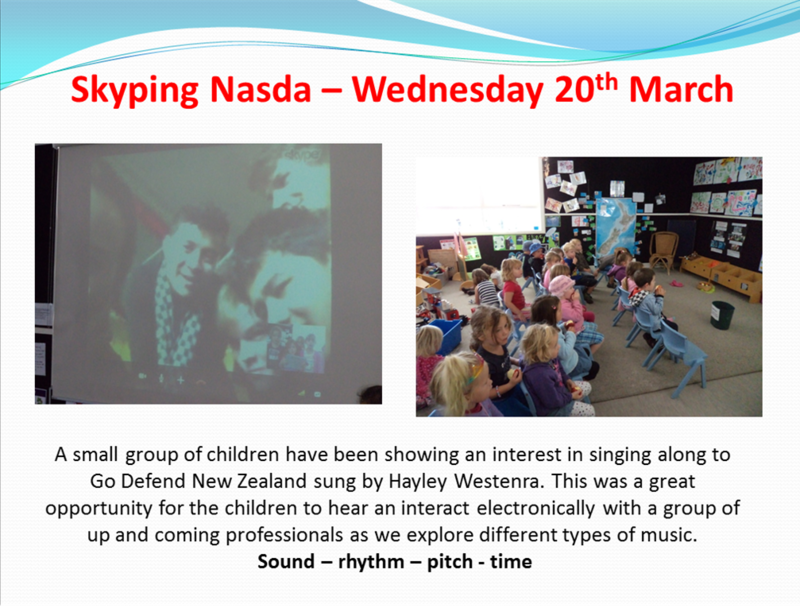 A circle is then formed and our multi-cultural heritage is recognised as we join together to say our Mihi and Karakia. 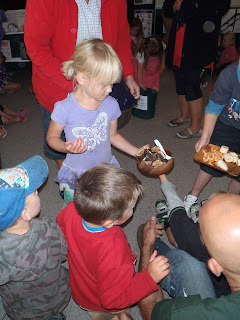 Children then take responsibility by handing around fruit that has been bought in by families to share. 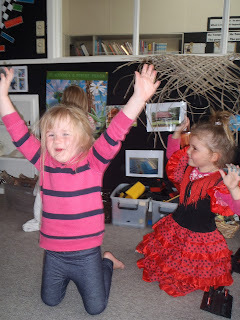 We then take a few minutes to encourage children to reflect on and share possibilities for the day ahead – forming connections from prior learning into today’s experiences, before returning to play. Thank you for your on going support as you continue to bring fruit in to contribute to this special time! We have a lot that we want to share with you seeing we haven't been able to post in just about 1 week - a lot happens here at Geraldine Kindergarten. Sadly all of our previous posts have been lost and we are unable to retrieve them, we will put up some of our past News and Views Magazines and look forward to reading your comments.